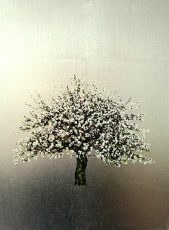 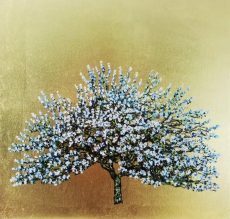 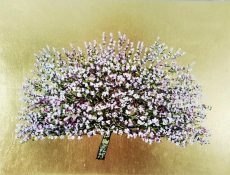 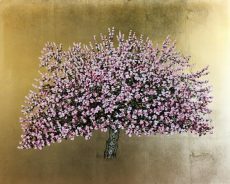 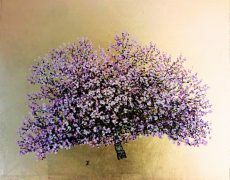 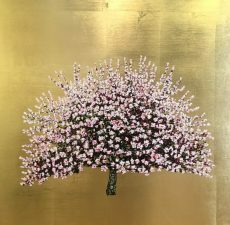 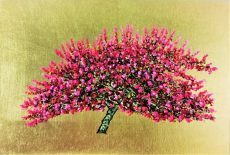 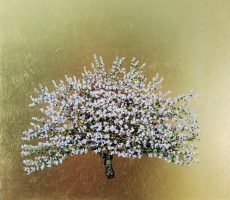 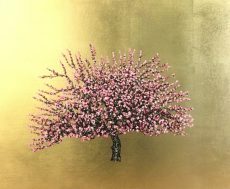 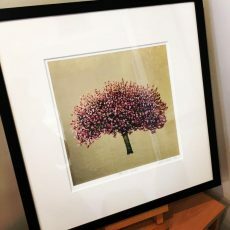 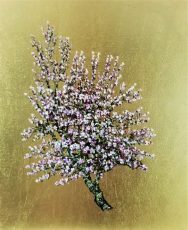 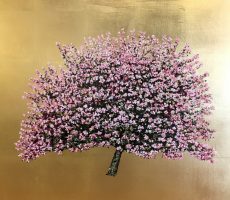 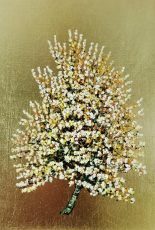 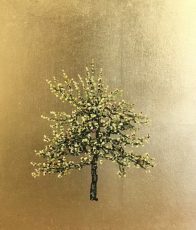 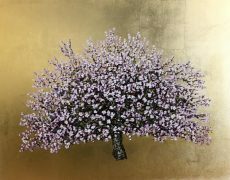 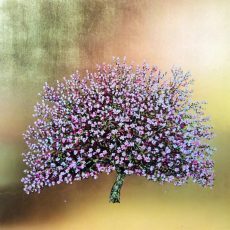 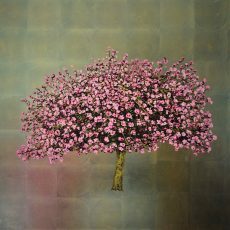 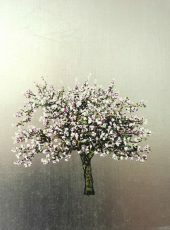 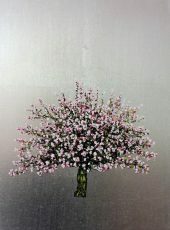 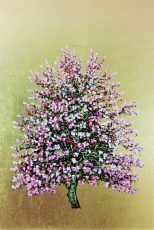 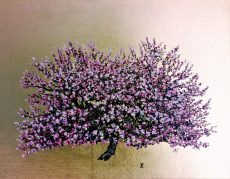 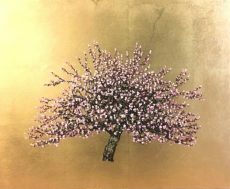 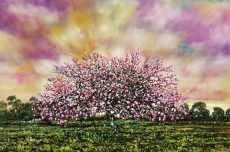 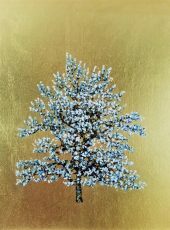 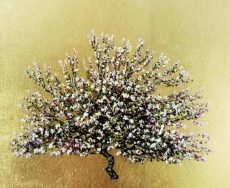 Jack Frame gold blossom paintings at Dart Gallery in Dartmouth, Devon and online. 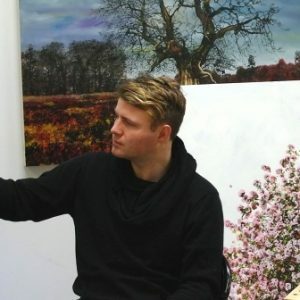 A sell-out graduation show in 2007 at Glasgow School of Art was a strong indication that Jack Frame had a promising career ahead. 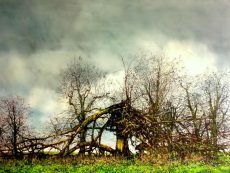 Since then he has built a reputation for his atmospheric landscapes. 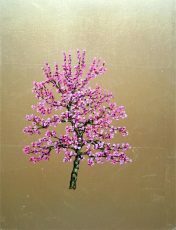 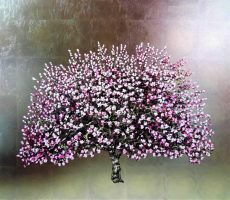 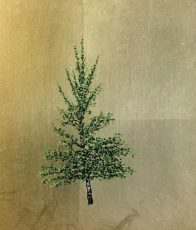 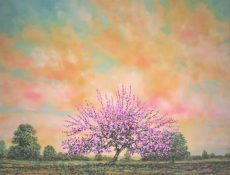 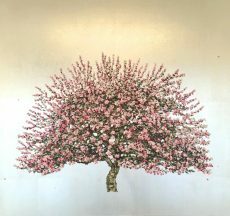 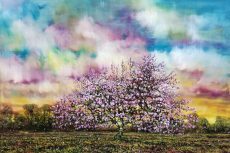 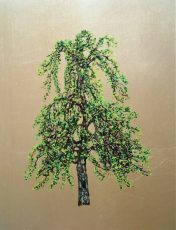 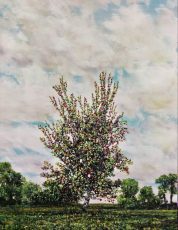 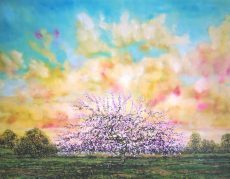 His paintings generally feature trees placed alone in the landscape (a cherry blossom on a glistening gold leaf background or a solid English oak in a country meadow). 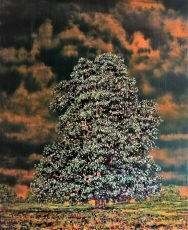 Jack always intends that his work provokes an emotional response in the viewer. 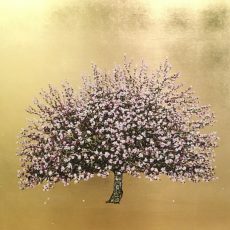 We love Jack’s work for both its dazzling glamour and its brooding depth. 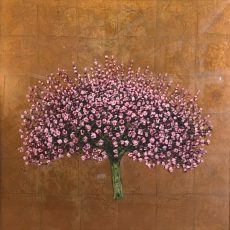 Any piece by Jack makes a statement. 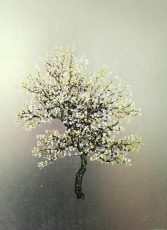 Jack regularly features in our exhibition schedule as well as showing new work with us all year round. 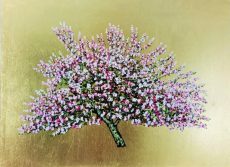 We’ve just launched a solo show of new work by Jack, featuring over 30 new paintings, together with his first ever limited original print. 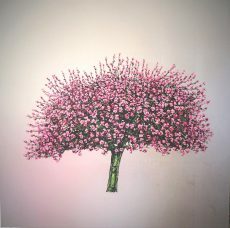 Join our mailing list below for gallery updates and your invite to future shows.